A study published last year in the Bulletin of the World Health Organization found that while 91% of Haitians lived within 5 kilometers of a health facility, only 23% lived within 5 kilometers of a high-quality health facility. 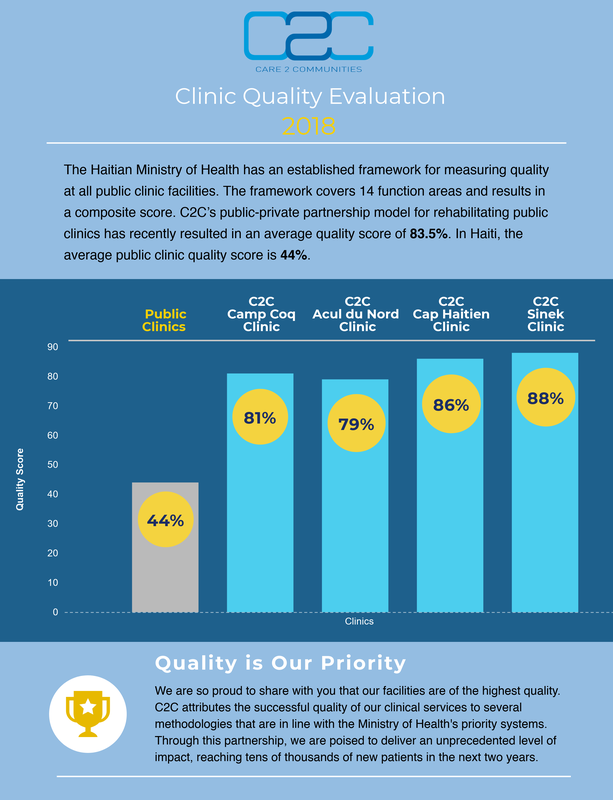 Low quality clinics and hospitals across Haiti are contributing to the poor health status of millions of vulnerable people. At C2C, we’re changing that by transforming public clinics into thriving, well-resourced, high-quality health centers. This entry was posted on September 28, 2018 by Joyce Bassil Zerka.